While not having as many issues as its previous generation, the Gold and Silver Pokemon games have a few bugs of their own. The glitches I will explain in the following article should be fairly easy to replicate for most players, though some will require a new game to be started (the colour switch being the only one in this case). The second trick will also be the only glitch/error in this article that can be potentially dangerous, the other two purely for aesthetics and for fun. First of all is the ability to swap the colours of the player. By default the male character is in red, while the female character is in blue. Start the game as the gender you wish to play as, and then as soon as the game loads, immediately save it while in your room. Once done, reset the game, and go to make a new one again, only this time choose the opposite gender. Once the game loads again, go to save. However while the game attempts to save, reset it again. Since only part of the game will save in this case, the character colour will be overwritten. Go to continue your first game, and your character will be the opposite colour. With the introduction of eggs in the second generation, the possibility of obtaining glitched versions became a reality. Glitch eggs function in the same way as regular eggs, but never entirely hatch. Rather, a Glitch egg will always hatch into another Glitch egg in a never-ending cycle. Apart from the use of a Gameshark though, the only way to get one is to use the Celebi Egg glitch. In Gold and Silver, it is possible to have only the Glitch egg in the party, by delivering the gate guard of Goldenrod’s Spearow with mail to the man by the Violet City entrance with only the Glitch egg and Spearow in the party. The game will see the egg as a Pokemon, and the Spearow will be removed as normal, leaving the player with the Glitch egg. If the player attempts to enter combat with the Glitch egg, the game will restart in an endless loop unless a Pokemon is added to the party from the player’s PC. However in Crystal the endless loop does not happen, rather the battle will proceed as normal, the egg having a glitched sprite and a full experience bar. Since the egg has no attacks, it will simply use Struggle. Even though it gets knocked out, and the game treats this as a white-out, the player can continue on with the game without getting sent back to the Pokemon Center. The last little trick for this article is sort of a throwback to the Red and Blue versions, where a player could cut a tree down, stand where it was, save, and then reset the game, resulting in the player standing on top of the tree. In Gold, Silver, and Crystal however, the same thing can be done with breaking a rock with Rock Smash, and saving on top of the tile where it originally was. One of the most bizarre places in the entire Red and Blue game would have to be Glitch City. Technically, Glitch City can be any of the cities that the player has visited, due to how the game handles travel in between two places. The ‘gateways’ between two places in the game is called a ‘warp’, and by exploiting the step timer of the Safari Zone, it’s possible to break these warps, causing the player to enter into a corrupted version of a city, hence Glitch City. There are different appearances for Glitch City, but they all share the characteristics of randomly assorted tiles and invisible walls. Unless the player has a Pokemon with Fly or Teleport, they are essentially stuck in the city until reset. In Pokemon Yellow, Pikachu’s happiness can be reset upon entering Glitch City. However in Generation III and onward, the mechanic used to travel between two maps was changed, thus removing any chance of entering Glitch City in games after Gold, Silver, and Crystal. To enter into Glitch City, one must be prepared by having either a Flying or Teleporting Pokemon (with a Pokemon Center recently visited). Also be aware that there are certain places that will not trigger Glitch City to be entered. These places include the insides of buildings or any city itself (however you can do this in Cinnabar Island if you surf along the eastern coast), Begin by heading to the Safari Zone, and entering in as normal. Walk around a bit in the Safari Zone to use up some of your steps, before attempting to leave the zone. When the guard asks if the player wants to leave, reply with no and return back into the Safari Zone area. Immediately save the game, reset, and attempt to exit again. Instead of being asked the same question, the guard will ask you if you wish to play the Safari game (as if you had just entered in from the other side). Respond with no, and walk out of the building. Once outside, immediately fly to anywhere, and begin walking in any route. While you are outside of the Safari Zone, the game still considers you in the game, as it counts your steps as if you were. Once you run out of steps, a message will pop up saying that you have ‘run out of time’, and you’ll be teleported to the Safari Zone gate. Walk outside, and you’ll find yourself standing in the center of Glitch City. Apart from a lot of distorted graphics, there normally isn’t much purpose to traveling to Glitch City. However by following some additional steps, it’s possible to enable the player to walk through walls, and potentially be able to enter into the Elite Four without having all the badges. First, make sure that you only have one strong Pokemon on hand that can Fly, and make sure that you visit a Pokemon Center for a place you want to walk around in with your trick (so if you want to skip to the Elite Four, visit the Pokemon Center in Viridian City). Find an area as well which has a Pokemon that can poison yours, and a ledge that can be jumped off of (your one Pokemon will help with being able to get here). Once these two things are secured, proceed to begin with the Glitch City steps again, stopping once the player has left the Safari Zone gate with the steps still being counted down. Fly to your designated area, and make sure to carefully keep track of every step that is taken, as you will need to end your last step as you’re jumping over a ledge. While in your area, get your Pokemon poisoned as well. On your last step, jump the ledge, and in the middle of the jump you should be prompted again with the ‘time’s up’ message. Once inside the gate, you’ll be able to walk through walls, but be sure not to enter into the blacked out areas, or leave the building. Walk around until your Pokemon faints, which will cause you to be returned to the Pokemon Center that was last visited. Once you finish in the Pokemon Center, you will be able to walk through walls outside of the building. You can use Fly or Teleport, but if you get into any fights or enter any buildings, you will lose the ability to walk through walls. Out of all the Pokemon generations released by Nintendo over the years, the second generation of Pokemon games (Gold, Silver, and Crystal) are probably the most influential of the series, not including the first generation (which started everything off). Out of all of the games following the Red, Blue, and Yellow games, the second generation adds more than any other. Probably one of the biggest changes that the second generation brought to the series was the introduction of two new types: Steel and Dark. None of the games following the Gold, Silver, and Crystal series have added new types of their own, neither have they altered the typing of Pokemon, as the second generation had (though this was to incorporate the two new types, such as changing Magemite and Magneton from Electric to Electric/Steel types). The addition of the two new types helped to balance the system, as the Psychic type had become overpowered since the first generation. Along with the addition of two new types, another key system was introduced in this generation of games: Gender. While the Daycare center existed in Red, Blue, and Yellow, the second set of Pokemon games made further use of this service, allowing two compatible Pokemon of opposite genders to breed together, producing an egg. Furthermore, the stats and moves of the new Pokemon are determined by the parents that created it. With the ability to breed Pokemon together, Ditto gained a new outlook on its existence: rather than just being for show, its ability to transform into another Pokemon made it capable of breeding with any Pokemon it was placed with, on the exception of legendary Pokemon (which had no gender). This became particularly useful with the introduction of Baby Pokemon as well, special Pokemon that could only be obtained through breeding two specific species together, such as two Pikachu for a Pichu, or two Clefairy for a Cleffa. As it duplicated the other parent, it became easier to breed without having to get two opposite genders, especially if the parents were rarer Pokemon. Though the legendary Pokemon are still considered to be quite rare, the second generation brought forth a whole new level of rarity: shining Pokemon. Based off an alternate colour, these Pokemon have a rare chance to occur in the wild (the odds being 1 in 8192 to be specific), and because their shininess is determined by their IV values (and not a different value), they can be traded back and forth from first generation games without losing this special quality. Since their release, Shiny Pokemon have become well sought after due to their popularity, guides springing up on how to breed for them (due to the method the game uses to determine whether or not they will be shiny, though in later generations an individual variable was made for this quality). Apart from these there are still many more improvements that were brought on through the Gold/Silver/Crystal era, such as the introduction of a true happiness value (though Yellow came up with this prior, it didn’t have any other effect in the game), hold items, and a device with multiple functions (the Pokegear in the second generation, which returned in the following games as improved devices). Even though all of these systems would later on be refined and improved for better implements, if it were not for this set of games, none of these new features would have appeared throughout the rest of the series. One of the rarest kinds of items in the Pokemon series (other than the rare candy of course), evolutionary stones play a vital role in the main objective of the game, as they allow certain Pokemon to evolve where level and experience does not matter so much. There are only a certain number of Moonstones in the first generation Pokemon games, the rest of the stone types able to be purchased in Celadon City for a price. However through the magic of programming, it is entirely possible to cause one of these stone-specific Pokemon to evolve in battle without a stone. Note that there are over thirty different types of Missingno., so only the one with a hex of 20 will match up with a fire stone. Now despite the Pokemon and items sharing a similar variable, most operations (a longer string of hex code where a specified number of variables can be input from an external list) are specific to their respective list. However in the first generation of Pokemon games, there is an operation for two different events that is shared by both lists. In Pokemon Red and Blue, this operation is expressed as ‘01XX91CF’, and in Yellow it is expressed as ‘01XX90CF’. These operations are used for two events: to pick up on what Pokemon is sent out in battle, and for what item is currently being used. To make use of this oversight to evolve Pokemon without using their evolutionary stones, you need to have at least two Pokemon in your party: the Pokemon you want to evolve, which needs to be close to levelling up (so that after the next fight it will level), and the Pokemon that matches its evolution stone (so if you want to evolve a Clefairy, you need an Exeggutor). This can be done with either a wild Pokemon or a trainer battle, but the method in doing both is still the same. Start the battle with the Pokemon that you want evolved first, then switch out with the party member that shares the appropriate stone hex variable. From there, simply defeat the opponent(s), making sure that after the first Pokemon (if a trainer fight) or the battle (if it’s against a wild Pokemon), the first one gains a level. After the combat end, a notification will pop up, alerting the player that the Pokemon is evolving, just as it would if it used the standard method of levelling for its evolution. As most of the stones can be purchased anyways, the best use of this technique is to evolve Pokemon who need the Moonstone, as they are of limited quantity in the game (unless the Missingno. glitch is exploited to duplicate one). All of you have heard of the average Pokemon trainer. It is the class everyone is put into at the start. The general trainer has the main goal of beating all the gyms and thus earning the gym badge. The gym badge is what is rewarded to the trainer by the gym leader. The badge resembles what type the gym is based on. Each region tends to have eights gym, so that means that you will fight eight different people, the gym leaders. And of course, that means eight badges to be gathered. Once getting all of the eight badges you go to the Pokemon League and challenge it. You will fight four people known as the Elite Four. The Elite Four tend to have the strongest Pokemon you will face. However, they are usually battling with their element. For example, Bruno of the Kanto/Johto Elite Four trains fighting type Pokemon. To beat him easier I suggest bringing a strong flying type Pokemon. Flying type Pokemon have an advantage over fighting type Pokemon as you should already know. Making it easier to defeat Bruno. He is just one of the Elite Four, you will only face him in the Kanto or Johto regions. He is just one of the Elite Four, however, this means you must be prepared for the other three. It usually takes one or two tries for most trainers, that is if they are powerful and strong and confident as trainers. So it should be easy. I’d suggest bringing some Hyper Potions of some sort for the battles. You should bring a lot of Revives as well. You might or might not need them, but I strongly suggest it. I’m not saying you would be a bad trainer this way, just a prepared one. All just in case. The Elite Four’s Pokemon usually range from the 45-60 when it comes to the level of the Pokemon that they use. 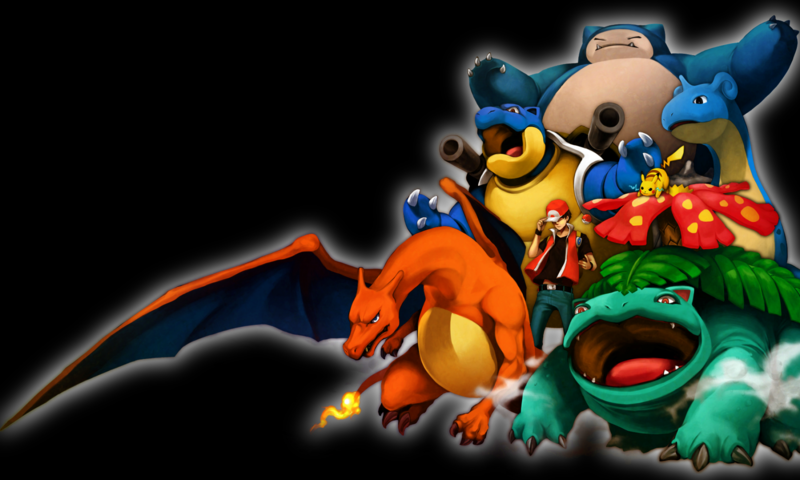 Every region has different Pokemon at different levels when you face the Elite Four. But that is just the ball park of where they are usually at. Now, you beat these Elite Four members I keep talking about, so now what? See for yourself, you will face the champion of the Pokemon League! The champions are incredibly powerful when it comes to level. Their Pokemon I would say range between 59-70 when it comes to the level. What can I say? They are powerful trainers. If you can beat them you will be crowned the next champion and will get your name and your team of Pokemon you used added to the Hall of Fame. That is what the main goal of the vast majority of trainers usually tends to be. Alright, let’s think about modern day Pokemon. There are just about over six hundred species today. Amazing compared to the one hundred fifty we are use to. I am not biased with the different species, newer generations or anything like that. Today I want to talk about the Pokemon. Now with all of these Pokemon you would think of some different strengths going on here. Now a Caterpie can and will put up a fight against a Weedle. But do you honestly think it stands a chance against the mighty fire and flying type Pokemon known as Charizard? No, I didn’t think so. Fuchsia City’s Safari Zone is the focal point of the city, being the home to many rare and exotic Pokemon that cannot be found outside of its boundaries, making it a stop that must be checked out by all trainers. However unlike the outside world, the Safari Zone has a few rules of its own. First of all, you have a time limit to how long you can stay in the Safari Zone, which in the first generation is determined by the number of steps are taken within its boundaries. The player is only given thirty special Pokeballs, and cannot fight traditionally against the Pokemon inside. Rather, they must use a combination of bait and rocks to make the Pokemon easier to capture, and even then the success rate is all by chance. It is because of limits like these that make that add to the challenge of the game. However there is normally a way around such things and the Safari Zone is no exception. In Pokemon Red and Blue versions, it is actually possible to enable the ability to capture the Pokemon of the first Safari Zone due to an oversight in coding. Before entering the Safari Zone, make sure that you have a Pokemon with Fly and Surf handy. Enter into the Safar Zone as normal, paying the fee as you normally would. But as soon as you enter in, walk out of the Safari Zone, and out of the gate and into Fuchsia City. Without taking a single step away from the gateway entrance, open up your list of Pokemon, and fly directly to Cinnabar City. For those familiar with the Old Man glitch, this should be rather familiar, as the next step is to walk toward the eastern shore of the island, and proceed to surf up and down the coast line until a battle is imitated. So long as you don’t leave the coastline and go into another route, you will always be able to access Safari Zone Pokemon here. The reason that this and the Old Man trick can occur is due to another oversight in coding. Every city in the game has a preset list of Pokemon that can occur within it, even if there is no grass or water or any other place for wild Pokemon battles to occur. The only exception to this is Cinnabar Island, which does not have such a list. Also, whenever a player travels from one location to another, the list of Pokemon that can be encountered is updated with the new area’s list. As the player leaves the Safari Zone and goes to Cinnabar Island, the list is not updated, because there is no new data to update the list with. So until new data is present, Cinnabar Island will use the data of the last location visited. In the case of the Old Man glitch, the player’s name has to be stored somewhere else temporarily so that the demonstration shows the ‘Old Man’ attempting to capture. In order to save space, the programmers used the list of Pokemon that could be encountered to store the player’s name, which would be reset upon traveling to a new location. However when going to Cinnabar again, this list is not updated, and upon encountering a wild Pokemon, the game attempts to pull data from this list. Instead all it finds is the name of the player (which is invalid for this purpose), so instead it uses a placeholder Pokemon, Missingno. Rage has a unique mechanic in the games. Upon its subsequent use, every time the user is hit by an attack, its power increases, followed by a message which says “(Pokemon here)’s Rage is building”. In order to successfully use the glitch, the Pokemon’s move set which you are trying to copy must contain ‘Rage’, because your transformed Ditto will need to use it. Now to begin, initiate the combat with the Pokemon who has the desired move set, and Transform into it. You will receive all four of the Pokemon’s moves, including Rage. Proceed to attack using Rage over and over, until the attack runs out of power points. Once it does so, proceed to either defeat or capture the opposing Pokemon with a move other than Rage. Once the battle is over, Ditto will retain the move set it copied, though in the process will lose Transform. During this process though, you need to make sure that Ditto does not faint, or get switched out during the combat, or else the progress on it will be lost, and you’ll have to start from scratch. What increases the possibilities of this move is that through the use of any move-copying ability that can make use of Transform (such as Metrenome, Assist, Copycat, and Mimic), the method of using this glitch in their case becomes a little trickier, as the alternate methods can only be done in double battles, and the Pokemon who wants to learn the new move set must be the one to attack and defeat the opponent, without getting knocked out or switched out in the process, and without knocking them out with Rage. As a final note, Ditto is one of the most versatile Pokemon in the game because of its breeding capability. On the exception of legendaries (except for Manaphy), Ditto can breed with any Pokemon that has an egg type, and can produce an egg as a result. The ability to have Ditto learn moves will therefore change the way that Pokemon are bred, as in theory it would be capable of passing down the new moves that it learns. This could be extremely useful for obtaining hard to learn abilities that a player would want past down to the next generation of bred Pokemon. In all versions of Pokemon Platinum, HeartGold and SoulSilver (Generation IV) games, a glitch can occur when any weather effect can potentially cause all four weather effects (Sunny, Rainy, Sandstorm, and Hail; the foggy condition not appearing in the glitch) to trigger simultaneously and cause damage to all Pokemon. This glitch is commonly known as the “Acid Rain” glitch, because it damages Pokemon four times, regardless of their immunities (for example, abilities like Pikachu’s Static and Empoleon’s Torrent will cause damage four times, rather than prevent it, and Pokemon that have immunity because of their type will not receive the benefit of immunity). However if a Pokemon is immune to both Hail and Sandstorm due to typing (a Ground/Ice Pokemon like Swinub, for example), then that Pokemon will be immune to the effects of the “acid rain” glitch. When the Pokemon take damage from the weather, the game will cite the reason to their ability (so a Pikachu taking damage from the weather will cause the game to state “Pikachu is hurt by its Static!”. Abilities that cause Pokemon to heal instead such as Rain Dish (heals during rain) or Ice Body (heals in hail) will receive a massive boost in combat, as their ability will cause them to heal completely, then forces them to take a small amount of damage from the ‘damaging weather’. Abilities that heal in some weather and hurt in others will activate, causing the Pokemon to regain some of its lost HP, then damages them. Pokemon moves that are affected by weather are also affected by the Acid Rain glitch. Solarbeam for example will not have to charge because of the sunny condition, but will also only do half as much damage as it normally would, due to the other weather effects in play. Meanwhile both the accuracy of Thunder and Blizzard will increased to 100%, and will never miss, as both rain and hail are in effect, which raises the accuracy of both attacks respectively. Apart from the annoyance of taking constant damage, the only inherent danger of battling with Acid Rain in effect is if Castform or Cherrim are brought onto the field. Both Pokemon have abilities which cause them to transform based on however, and because of the fact that all four weather conditions are in effect, they will begin to cycle through their transformations– locking the battle up until the game is reset. Strangely enough Castform will only change into its Sun and Rain forms as it can only recognise these two as the only weather effects in play (even though it has a form for fail). This can be beneficial to either yourself, or your opposition, depending on the Pokemon that are in play – Especially when you consider that Swinub is one of a select few Pokemon that is adversely (neither positively) affected by such a glitch. One of the widest type of Pokemon outside of normal type Pokemon probably is a flying type Pokemon. All flying type Pokemon except for the new Tornadus are flying type Pokemon and normal type Pokemon. This is probably why there are so many flying type Pokemon, along with normal types, because they are mostly likely mixed, at least the large majority. Flying type Pokemon have been used by gym leaders three times now. The first was Flakner, the first gym leader in the Johto region, he can be a bother to most beginning trainers because his flying type Pokemon are pretty strong. The second is Winona, Winona is the sixth gym leader of the Hoenn region, she trains flying type Pokemon, of course. The third to use flying type Pokemon is Skyla, the also sixth leader to use flying type Pokemon in a league. She is the gym leader of the Unova region. There are usually more than one flying type species in a region, in the Kanto region you have a Pidgey but also a Spearow. Spearow is a Pokemon that is a lot like Pidgey and can be battled and captured almost just as early as a Pidgey. In the anime Ash Ketchum tries to capture a Spearow when he first starts his journey, but all he did was make it angry, so it called all of its friends and other Spearow and they chased Ash and his Pikachu. Pikachu eventually shocked them all and they were able to go safely to a Pokemon Center, away from the Spearow. Spearow is also a normal type Pokemon and a flying type Pokemon, he will evolve into a Fearow. Spearow has some nerve and isn’t really the strongest Pokemon in the world, but probably and most likely can get the job done with other Pokemon as long as they are around the same level as Spearow. Spearow is in the Kanto Pokedex along with its evolution, Fearow. You will find several Spearow at low levels around the same place you can find a Fearow but this is not always true, sometimes in certain areas, you can only find a Fearow where there are higher leveled Pokemon, and a Spearow where they are low leveled. Very rarely can you find Spearow and Fearow in the wild at the same time. What do you think about the flying Pokemon Spearow? Have you heard of a poison type Pokemon before? I am sure you have, they are the most important Pokemon, or at leas tone of them. They get some powerful attacks, some very powerful attacks. One of the most famous attacks that you will see a lot is probably Toxic. Toxic will poison the foe, by giving them the poisoned status conditions. After each turn in battle the foes Pokemon will lose some health points. What is different is with toxic, a Pokemon will not just lose health points every turn. What Toxic will do is poison the Pokemon and every turn they will lose a little more health points, every turn it will lose more every turn. A Pokemon that is a posion type is Weezing.